Soup can be a quick and simple way to fill yourself up while still eating extremely healthy and losing some extra weight at the same time. Depending how much soup you choose to eat every day can vary how long the servings in this recipe will last. 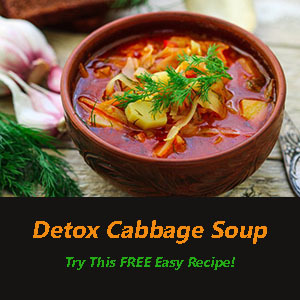 This simple detox cabbage soup recipe can last up to one week, but each as much as you wish during the day! 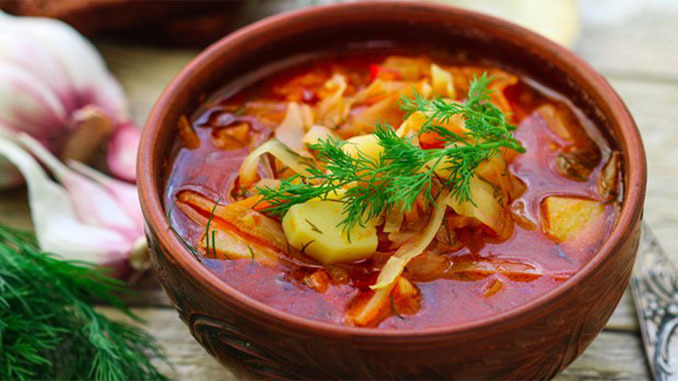 How can something that tastes as good as cabbage soup actually help you lose weight and detox? This can be figured out pretty quickly just by looking at the ingredients within this recipe! Cabbage is an excellent source of vitamin K, vitamin C and vitamin B6. It is also a very good source of manganese, dietary fiber, potassium, vitamin B1 and copper. Other ingredients like the carrots are a powerful source of antioxidants which are great for the skin and your bodies digestion. Throw in a few low calorie extras like green bell peppers and you have yummy (but healthy) soup recipe which can be enjoyed for lunch and/or dinner anytime! 1) To begin, prepare all ingredients as directed in the ingredients list above. 2) Put all of the vegetables into a large soup pot and cover with water. Bring to a boil over high heat and then reduce the heat to medium and boil gently for 10 minutes. Cover, reduce the heat to low, and simmer until all the vegetables are soft. Stir in the black pepper and chopped herbs. 3) This soup can be served either hot or cold. It can be pureed or partially pureed to vary textures of your liking. It can also be seasoned differently for variety, with balsamic vinegar, lemon or lime juice, different fresh herbs, or chopped green onions. Be sure to allow yourself at least 10-15 minutes for preparation and 30-45 minutes for cooking. As mentioned above, you can find just about every ingredient within this recipe offers some type of benefit to your body. Detox soup can be a wonderful way to cleanse your body and improve your mood and overall health. Try this soup recipe and see how much weight you can lose with it! Is it really two whole stalks of celery or is it two spunes off one stalk of celery?